Before anybody snarks about the quality of Trevor Bauer’s pitching, and whether or not he’s good enough for us to value his thoughts on pitching, know that he’s fully aware of his limits, and was even before conceding six runs to the Yankees last night. But this is exactly what makes him well qualified to study the art of pitching. He isn’t blessed with a Felix Hernandez changeup, or Clayton Kershaw‘s command, or even teammate Corey Kluber’s breaking ball. He knows that. And so what brings him satisfaction? Studying pitching. Working hard to figure things out. Getting better, with the help of our best tools. Bauer does his best to be objective about pitching, but he also knows his limitations. For everything he’s discovered, he’s uncovered more questions on the same subject. Take spin rate. The pitcher installed a TrackMan unit in his house. That’s serious work, and expense, done in order to “figure out how to train in order to spin the ball better.” He wanted to know how to change spin, and what spin would do to pitches (what it does to results is the step after). And he’s used those findings this year, for tangible results. 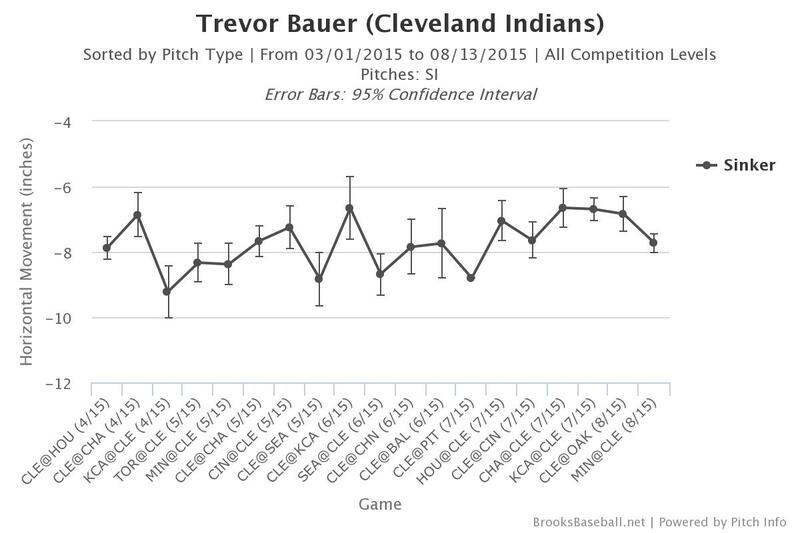 Minimum 200 thrown, Bauer’s curve is second among starters in swinging strike rate. He says it’s because how he uses it, not the movement. You might do a double take here. Most people think that you pull down on a curveball on the outside of the ball, but what Bauer is saying is that you get more spin on your curveball if you pronate it, if you pull down on the inside more or less. If this is confusing, check out this GIF made from Bauer’s YouTube presentation on the subject. Watch the action on Bauer’s wrist as he releases the breaking pitch, more than what happens in the fingers. So, yeah, a right hander’s wrist moves towards the left on a curveball release, and if you actively try to move it in that direction, you get more spin, and therefore more movement on the curveball. Using PITCHf/x spin rate, I found that spin rate explained 22% of the variance in curve drop, so there is corroboration for Bauer’s findings. And you can see that Bauer has used these findings to increase the spin on his curveball, and the movement on the curve, though not the drop. 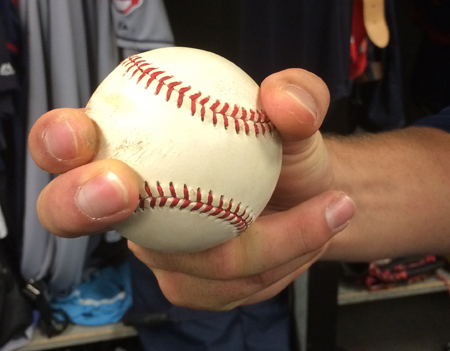 The new two-seam changeup grip with the fade and the drop. When Bauer talks about improving in ways that don’t necessarily show up in ERA, his increased spin rates are the kind of thing that he’s talking about. And yet, it’s hard to make improvements stick. For example, look at the horizontal movement on his two-seamer this year. That’s something I’ve heard before. Justin Masterson told me he had a changeup once: “When I went to instructs in ’07 I started throwing a changeup there, it was great, it had good action, hitters were getting out on the pitch, it was really effective. I went into my first offseason and I forgot. I’d never had an offseason like that before, I didn’t do any throwing, I didn’t think about it. 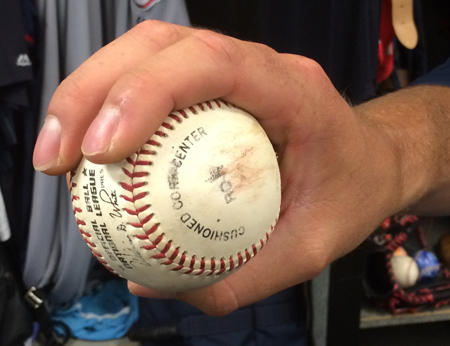 All of a sudden, it was gone and I was like… I, I’m, pretty sure I held it like this,” the former Indian told me in 2013. He’s thrown over 20,000 pitches since then and hasn’t had a good changeup, by his own admission. For Bauer, it’s a source of interest and confusion. He’s gained and lost his split-finger repeatedly over the last few years. And his cutter. And it’s not clear why. “Maybe my shoulder isn’t getting that full rotation, or something about how the ball is coming out and the spin axis on the pitch that goes away,” he wondered. If that sounds possible, it’s still hard, even with Cleveland offering something of the sort. “Even when you look at the video, you can say, on one of those my shoulder was here, and one of them it was here, but why? And is that responsible for why my curveball is not breaking as much?” There’s very little that’s scientific about body position in the same way as Bauer has been with pronation and spin rate. In 2004, as part of a promotional event, he had the opportunity to play tennis against German tennis star Michael Stich, and asked Stich to give him a “real” serve rather than the soft serves normal for these sorts of events. Syed describes how the tennis ball flashed by before he had even started to respond – it took less than half a second to go from Stich’s racket to the other end of the court. Syed could read his opponents in table tennis, in which the response time is even shorter, just a quarter of a second, but hadn’t developed the skills to do this in regular tennis. Anyone who is highly skilled has the mental ability to “chunk”, namely to grasp a pattern of elements, make sense of it and immediately act on it. And as much as Bauer would like to be scientific about his approach to pitching, there’s much that’s left to feel on a start-to-start basis. The screwball. Watch the thumb. 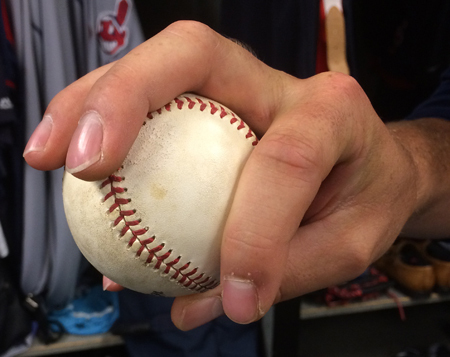 It’s like a two-seam cutter grip. Recently, Bauer’s command numbers have gotten better. In July, at least, he walked only a batter and a half per nine innings. Bauer changed when he worked out using weighted balls some, but he also decided to stop throwing off of flat ground. “I don’t throw flat ground any more because the timing on the pitches and the movement is so different on the mound,” he says, and it’s hard to disagree. 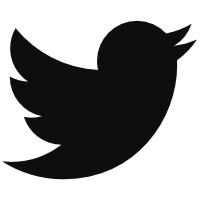 One thing we know for certain, though, is that he’ll read up, he’ll test the assertions, re-evaluate his hypotheses, and then apply the findings to his craft. What more can you ask of a pitcher, in the end. He can’t change his natural talent. And tinkering is fun. We hoped you liked reading Trevor Bauer: Towards Better Pitching Through Science by Eno Sarris! Well done, this may be my favorite fangraphs article ever.